Makes: about 1 1/3 cup. Just in time for your Superbowl eats! 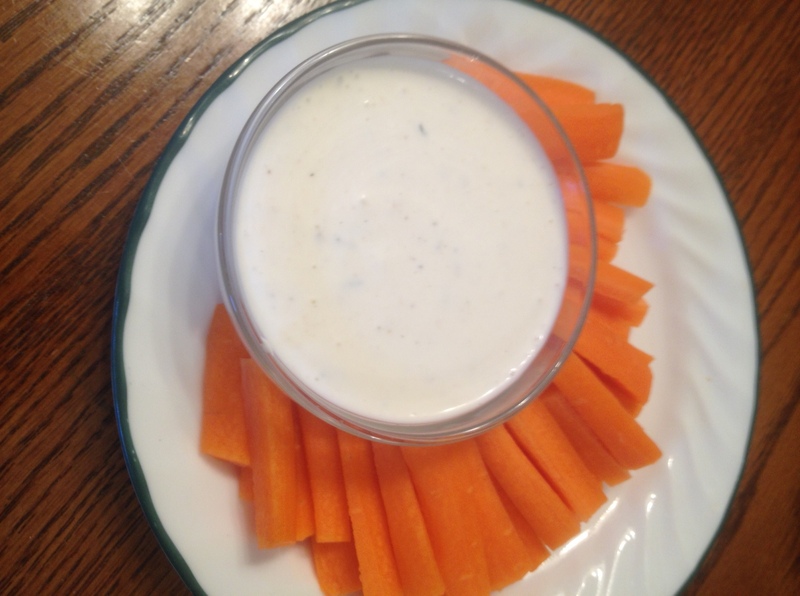 This simple recipe makes a restaurant style ranch dressing for salad dressing or dip. 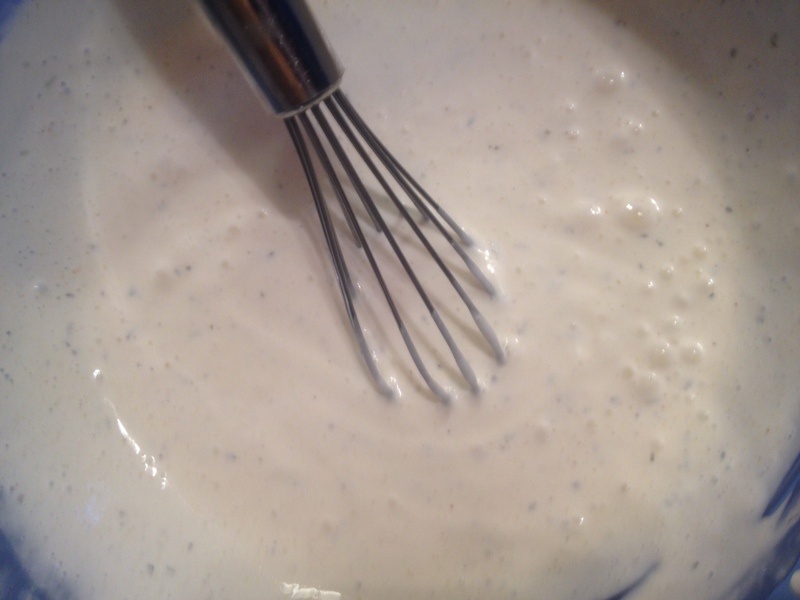 You can add a few extra tablespoons of buttermilk to make the dip thinner, or extra sour cream to make it thicker. I think this consistency is perfect for either dip or dressing. My husband told me he thought this tastes like Outback Steakhouse ranch dressing. I think it tastes like Red Robin ranch dressing. Maybe it’s a cheater recipe for both?! 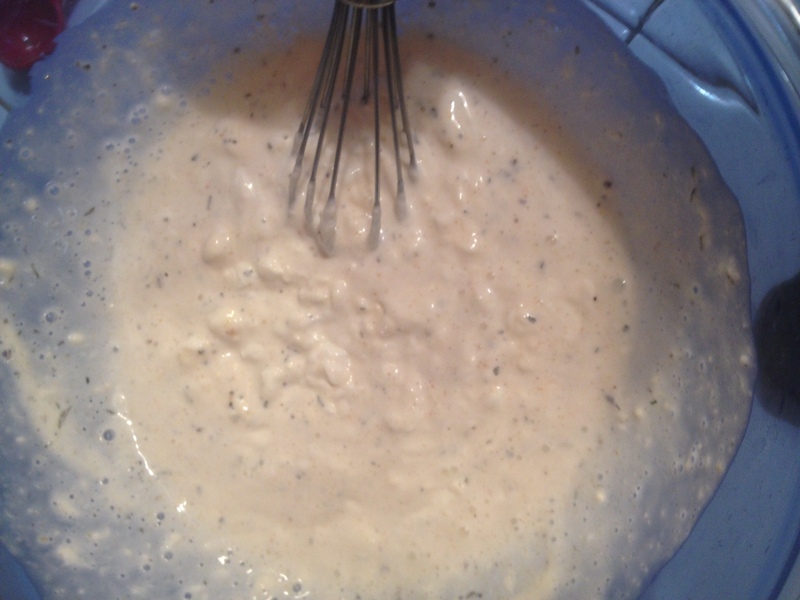 Mix all ingredients in a bowl with a whisk until smooth. Unless you really love raw garlic, don’t use raw garlic. Stick with granulated garlic. If you have some fresh herbs, use them! I use fresh herbs in this recipe whenever possible. Parsley, Italian parsley, basil, thyme, lemon thyme. Yum. I recommend refrigerating this overnight for maximum flavor. You can use it right away if you like, no wait time is required – but I suggest at least 1 hour in the fridge. I have not tried this recipe with a buttermilk substitute. If someone does test this out with a buttermilk substitute, please leave your results in the comments! I’d love to hear your results! 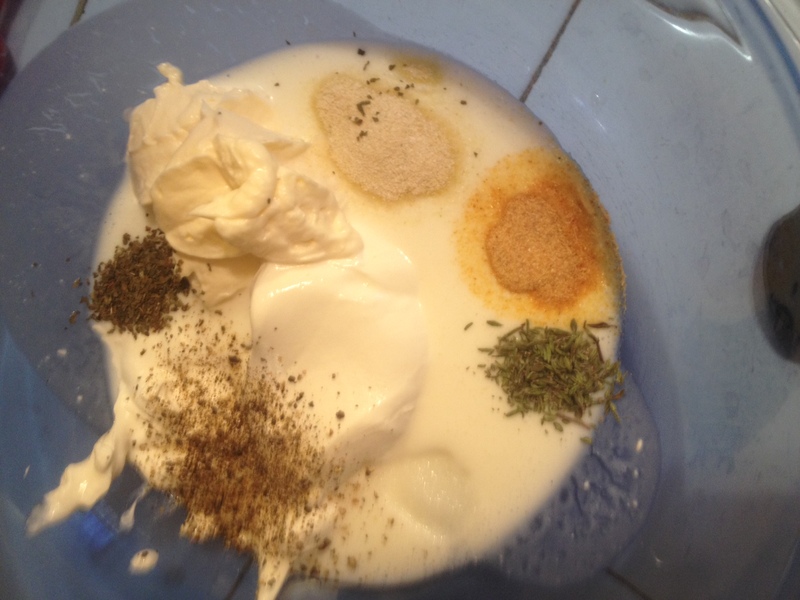 Tags: basil, buttermilk ranch dressing, cheat, food, how to make restaurant style ranch dressing, mayonnaise, outback ranch, outback ranch cheater, Outback Steakhouse ranch, ranch dip, ranch salad dressing, recipes, red robin ranch, red robin ranch cheater, restaurant style, sour cream, thyme. Bookmark the permalink.